Kitchens are a big topic. 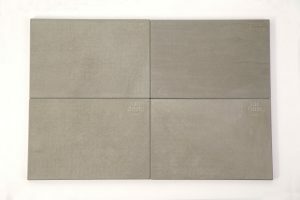 Concrete is a huge topic. There are many fronts in concrete look - but few are really made of concrete. Our 10.5mm solid concrete dade FRONT with high quality front and back (cast standing upright) proves to be a real alternative to ceramic fronts. 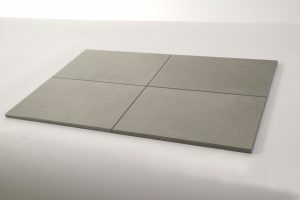 The fronts as raw material is perfect for processors (natural stone / kitchen builders) and can be purchased in 2.25 x 1.0m panels directly from us (palletized / uncoated, raw measure 2.44 x 1.2m). Dade also offers prefabricated concrete fronts as a finished product. Together with the cast worktops, this creates a complete concrete kitchen. The edges of the dade FRONT are machined by CNC and a joint pattern made to measure. The invisible dade coating is applied as a seal, which makes the fronts dirt-repellent and acid-resistant. The front material is not suitable as a countertop. Our 10.5mm solid concrete dade FRONT proves to be a real alternative to ceramic fronts. Years of development make us the leading manufacturer of concrete kitchen covers. 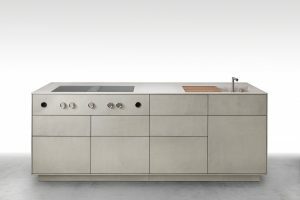 The 10.5 mm thin kitchen front was used, among other things, for the concrete kitchen dade MILANO. The dade FRONT can be used for more that kitchen fronts: it can also be applied as front material to washbasin furniture, cupboards or sideboards. Let yourself inspire by our dade SIDEBOARD or the dade ELINA.